Outre Origin Non Processed Human Hair WAVY 14" - 30"
ORIGIN means the beginning - the source, and that is where we began. Hand-selected directly from India by trained hair inspectors for top quality assurance, ORIGIN begins as pure, unadulterated hair. Then unlike other products that are processed with unfiltered water, ORIGIN is cleansed with de-opmozed water - the purest form of water, free of harsh additives and trace minerals - naturally leaving the hair sleek, defined, and moisturized. 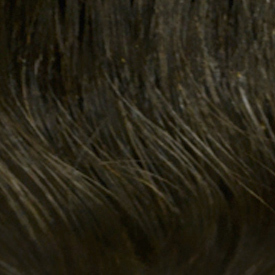 Afterwards, the hair is sewn onto a shed-free weft with a unique patent-pending technique, eliminating the "bread" - the folded hair that tends to stick out and irritate the scalp. As a finishing touch, the hair is fortified with locally-grown and certified organic coconut oil, adding natural softness and shine. Whether you choose to wear ORIGIN just as it is, or colored, bleached, and permed to match your mood and style, the hair will always maintain its natural flow and movement. ORIGIN was carefully crafted to embody the philosophy that beauty lies in the purest of things. 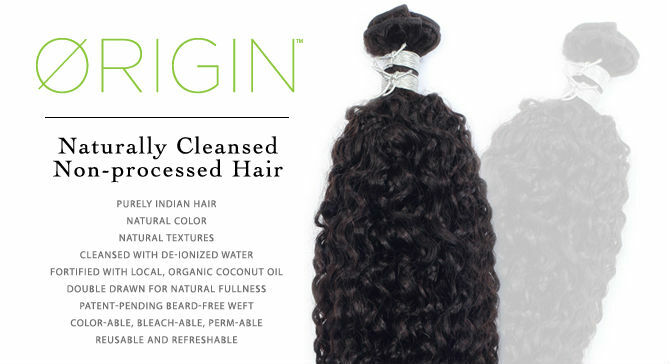 Completely free of anything toxic, aggressive, or synthetic, ORIGIN brings remarkable sophistication to the simplicity of raw hair.